Los Angeles, California, August 9, 2017	(Newswire.com) - With children returning to school parents and teachers are being alerted to the high number of gifted children that could be falsely diagnosed with Attention Deficit Hyperactivity Disorder (ADHD) and drugged with psychostimulants that may harm their mental performance and creativity. As part of its “Fight for Kids” campaign, the mental health watchdog, Citizens Commission on Human Rights International (CCHR) provides research and articles to teachers and parents to increase awareness of such pediatric misdiagnosis. Approximately 11 percent of all U.S. children aged 4-17 years are diagnosed with ADHD, according to the Centers for Disease Control and Prevention (CDC). In high school children alone, the diagnosis has been made in 15 percent. About 70 percent of children diagnosed with ADHD are prescribed drugs, according to Richard Scheffler, professor of health economics and public policy at the University of California-Berkeley and co-author of the book The ADHD Explosion. CCHR says the symptoms of this “disorder” are so subjective that gifted children are being put at risk of being labeled with ADHD and forced onto powerful stimulants that the Drug Enforcement Administration warns are more potent than cocaine. In an article that has been widely quoted in literature, the symptoms of ADHD were listed and according to James T. Webb, Ph.D., and Diane Latimer, “almost all of these behaviors might be found in bright, talented, creative, gifted children,” They list behaviors that they state are common to gifted children that can be mistaken for ADHD. Were luminaries such as Thomas Edison, Albert Einstein and Winston Churchill around today, psychiatrists would most likely label and drug them for ADHD, CCHR says. Einstein’s genius was supposedly marred by his losing his keys and being forgetful, according to one ADHD proponent. Churchill was more likely to focus on those studies that he was interested in. Every society has its great minds which should not be lost to psychotropic drugs that alter their perception and thinking, says CCHR. According to data provided by the Gifted Resource Center of New England, many gifted and talented children (and adults) are being misdiagnosed by psychologists, psychiatrists, pediatricians, and other health care professionals. The most common misdiagnoses are ADHD, Oppositional Defiant Disorder, Obsessive Compulsive Disorder, and Mood Disorders such as depression and bipolar disorder. Specific social and emotional characteristics of gifted children are wrongly assumed, by these professionals, to be signs of mental disorder. And those drugs can be potentially dangerous not only to the gifted but to all children. Researchers from the University of Delaware and Drexel University College of Medicine reviewed the latest research on the effects of psychostimulants like methylphenidate that they say can actually impact the brain’s plasticity, interfering with people’s ability to plan ahead, switch between tasks and be overall flexible in their behaviors. For a drug that’s supposed to offer better mental performance, the long term effects appear to do the opposite, they found. Contributing to this has been new drug treatments that were aggressively marketed, Frances said. Sales of stimulants in 2012 were near $9 billion, more than five times the $1.7 billion a decade before, according to the data company IMS Health. In 2015, sales reached $12.9 billion. In his controversial book ADHD Does Not Exist, Dr. Saul puts forward the case that not one single individual anywhere is afflicted by ADHD, for which the APA even admits there’s no medical test to substantiate it. Saul determined that “There is no such thing as ADHD.” Characterized by an inability to pay attention and sit still, a trait teachers worldwide have observed in many millions of pupils, ADHD is also associated with certain manic and impulsive behavior patterns. Excessive chattering, fidgeting, dislike of waiting, and disorganization are also common. This level of exuberance is naturally present in many children, yet Dr. Saul finds that ADHD is now frequently used as an “excuse” for those that are difficult to control. It is Dr. Saul’s belief that many underlying problems are being overlooked and left untreated as a result of the lemming-like rush to assume ADHD. He cites poor eyesight, lack of sleep and the strong possibility of learning difficulties. AbleChild.org, a national group dedicated to parents, caregivers, and children’s rights lists 50 conditions that mimic so-called ADHD from educational problems to allergies, low blood sugar and hearing problems, to carbon monoxide poisoning and dietary issues. 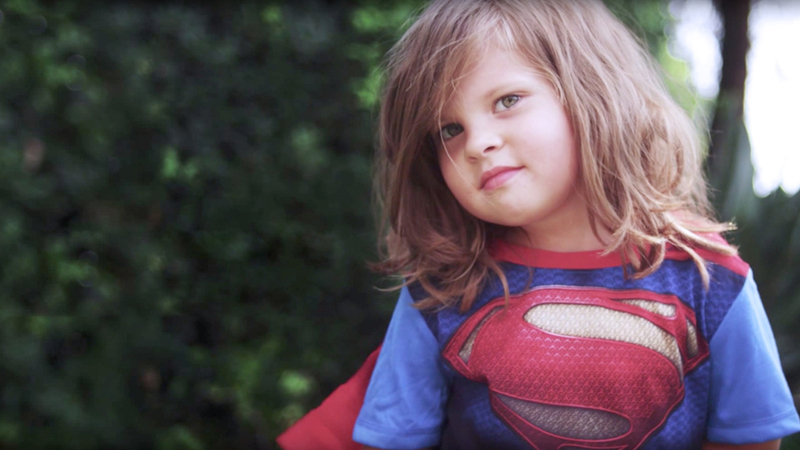 Many gifted children are never identified. Gifted identification is mandated in only 32 states, and funded in fewer. Most teachers receive only minimal instruction on the identification and management of gifted children. [xvi] CCHR wants to see the gifted identification extended to all 50 states, adding that it’s important for parents and teachers to work together to ensure that children are not placed on mind-altering drugs that can crush their enthusiasm, creativity and learning abilities. 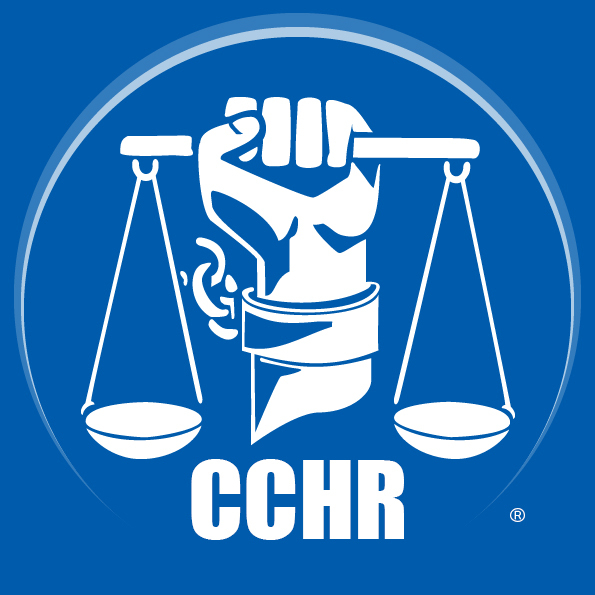 As a non-profit, CCHR relies on memberships and donations to carry out its mission and actions to curb psychotropic drug use in children, including foster care youths. Click here to support the cause. It has already been responsible for helping get over 180 laws enacted, including the 2004 Federal Child Medication Safety Amendment that prohibits schools from forcing children to take psychotropic drugs as a requisite for their education. [ii] Alan Schwartz, “The Selling of Attention Deficit Disorder,” The New York Times, 14 Dec. 2013, http://www.nytimes.com/2013/12/15/health/the-selling-of-attention-deficit-disorder.html?pagewanted=all . [iii] “Sales of ADHD Meds Are Skyrocketing. Here’s Why,” Mother Jones, 24 Feb., 2015, http://www.motherjones.com/environment/2015/02/hyperactive-growth-adhd-medication-sales/. [iv] “The Wizard of Electricity,” T.P.’s Weekly, Nov. 29, 1907, page 695, https://books.google.com/books?id=7phFAQAAMAAJ&lpg=PA695&dq=I%20was%20so%20hurt%20by%20this%20last%20straw%20that%20I%20burst%20out%20crying%20and%20went%20home%20and%20told%20my%20mother%20about%20it.%20Then%20I%20foimd%20out%20what%20a%20good%20thing%20a%20good%20mother%20is.&pg=PA695#v=onepage&q&f=true. [v] Erik von Hahn, M.D., FAAP, “When diagnosing ADHD, consider possibility of giftedness in some children,” American Academy of Pediatrics News, July 2012, http://sengifted.org/when-diagnosing-adhd/. [vi] Deirdre V. Lovecky, Ph.D., “Misperceptions About Giftedness Diagnosis of ADHD and Other Disorders,” The Gifted Resource Center of New England, http://www.grcne.com/misperceptions-about-giftedness.html, citing Webb, J. T., Amend, E. R., Webb, N. E., Goerss, J., Beljan, P. & Olenchak, F. R., “The misdiagnosis and dual diagnosis of gifted children,” www.sengifted.org. [vii] Alan Frances, M.D., “Giftedness Should Not Be Confused with Mental Disorder: We need to celebrate and tolerate individual difference,” Psychology Today, 14 Mar. 2013, https://www.psychologytoday.com/blog/saving-normal/201303/giftedness-should-not-be-confused-mental-disorder. [viii] http://talentdevelop.com/interviews/STolan.html; “ Stephanie Tolan, “Helping Your Highly Gifted Child,” 1990; http://www.stephanietolan.com/helping.htm; Dr. Sydney Walker III, M.D., The Hyperactivity Hoax: How to Stop Drugging Your Child and Find Real Medical Help, (St. Martin’s Press, Nov. 1998). [ix] “Bad News For Ivy Leaguers: ADHD Drugs Hurt Your Memory,” TIME Health, 13 May 2014, http://time.com/97448/bad-news-for-ivy-leaguers-adhd-drugs-hurt-your-memory/. [x] Dr. Richard Saul, “Doctor: ADHD Does Not Exist,” TIME, 14 Mar. 2014, http://time.com/25370/doctor-adhd-does-not-exist/. [xi] Allen Frances, “The International Reaction to DSM-5,” Huffington Post, 25 Apr. 2013, http://www.huffingtonpost.com/allen-frances/reaction-to-dsm-5_b_3146659.html. [xiii] “Does your child really have a behaviour disorder? A shocking book by a leading therapist reveals how millions of us – including children – are wrongly labeled with psychiatric problems,” Daily Mail, 6 May 2013, http://www.dailymail.co.uk/health/article-2320493/Does-child-really-behaviour-disorder-A-shocking-book-leading-therapist-reveals-millions--including-children--wrongly-labelled-psychiatric-problems.html#ixzz2SciDb8UA . [xiv] Kate Henderson, “ADHD Mass Misdiagnosis and Children Drugged for No Reason,” Liberty Voice, 15 Mar. 2014, http://guardianlv.com/2014/03/adhd-mass-misdiagnosis-and-children-drugged-for-no-reason/.